Your college dorm room may not have the gorgeous scenery this college poster portrays, but that doesn't mean you have to go without a gorgeous scenic view completely! New York City has a gorgeous skyline and Times Square is simply amazing. If you love New York City, or are from New York City, you know how once you're there you never want to leave. Whether you lived there before college or love visiting there, our New York Window College Poster is a must have dorm item you won't want to be without! 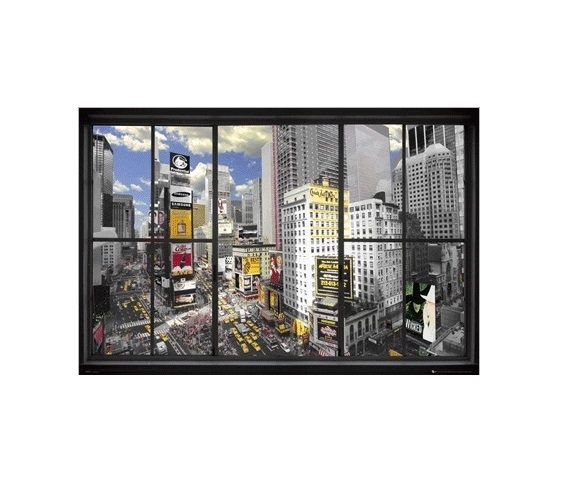 Your college dorm window may not look out at a nice scenic view, but this college poster features the view of Times Square from a window and has the window panes around the outer edges! Know what that means? That means you can really transform your dorm room decor and put this dorm essentials item near your dorm room window so you can pretend that you have the view that you love. 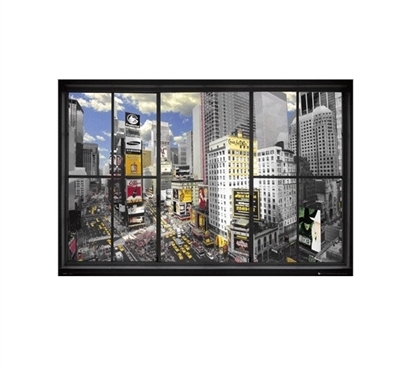 This dorm necessities item features a painted scenic view of Times Square so you can add some artwork to your dorm wall art as well. Your college dorm room walls won't add much to your dorm room decor. With the addition of cheap dorm supplies like college posters to your dorm essentials, you can make those dorm room walls more home-like and have a cool looking dorm room!